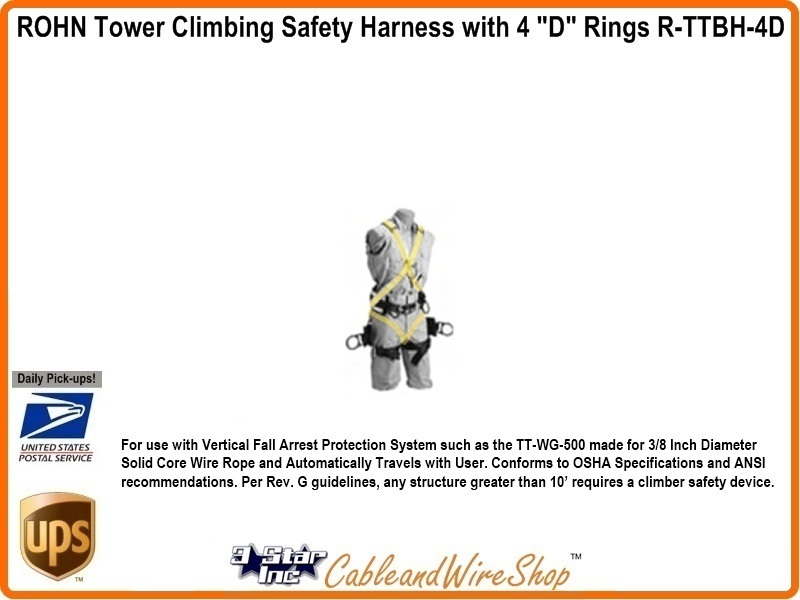 For use with Vertical Fall Arrest Protection System such as the TT-WG-500 made for 3/8 Inch Diameter Solid Core Wire Rope and Automatically Travels with User. Conforms to OSHA Specifications and ANSI recommendations. Per Rev. G guidelines, any structure greater than 10 ft requires a climber safety device. Note: This Tower Climbing Harness is economical yet fully featured. Trust No Substitutes. Buy ROHN. Buy American.